There are several hotels on the strip to stay at during your visit. This will also allow you the convenience of not having to rent a car and being able to ride the buses or trolleys down to the next hotel you want to visit. The Circus Circus is a great place to stay especially if you brought the kids. 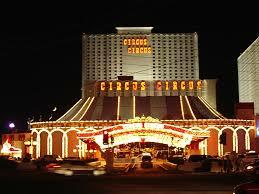 This hotel has a lot to offer such as the circus acts and the Adventuredome and Midway. The Adventuredome is located on the second floor and is an amusement park filled with all kinds of rides, a mini golf game, and its own roller coaster. The midway also located on the second floor has dozens of video games and simulators. Both of these attractions are for kids and adults. There is a wedding chapel on the third floor and the circus acts perform right over the casino floors. So if you are waiting on the kids from the park, you can watch these acts as you play the slots or blackjack. Rooms at this hotel run $59 a night. The Fremont Hotel in 1956 and Wayne Newton got his start here right outside the front door is the Fremont Street Experience. The Fremont Hotel and Casino is one of the casinos and hotels currently located in Downtown Las Vegas that is part of the Fremont Street Experience. 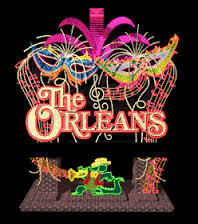 The casino is located on what is commonly referred to as the four corners. These are the four main hotels that are located on the corner of Casino Center Boulevard and Fremont Street. The four casinos making up the four corners are The Fremont, the Four Queens, the Golden Nugget, and Binion's Gambling Hall and Hotel. Casino Center Boulevard is the only through street that passes under the canopy of the Fremont Street Experience. It passes between the Fremont and the Four Queens located on one side of the boulevard and The Golden Nugget and Binions located on the opposite side of the Boulevard. This hotel has a breakfast buffet and RV park. The only bad thing is if you go to bed before midnight, you will hear the sounds and noise of the Fremont Street Experience.